Ardis and Robert James entered the burgeoning quilt world the same year The Quilters Hall of Fame was established- 1979, when, at a quilt festival in Michigan, they bought their first quilt, simply because it appealed to Ardis visually. In Masterpiece Quilts from the James Collection, the catalog of an exhibition of eighty-eight of their quilts shown in Japan in 1998, Ardis is quoted as saying that first quilt "was a Mariner's Compass with a sizable hole in the middle and had... the most interesting border I had ever seen." Bob encouraged Ardis's collecting and then, becoming intrigued by the quilts' aesthetic qualities, went on the hunt with her. Said Ardis: "He didn't want to be left out of the fun." On their first joint outing looking for quilts, they bought thirty-two. From the beginning, the Jameses were collectors whose interest began with a single object, which led to another and another as their knowledge expanded. When I asked them if they had a favorite quilt or quilts in their collection, their response was: "Of course there are always favorites, but these... are frequently chosen for reasons other than beauty or color or workmanship... For example, an Iowa Amish quilt was Bob's favorite for a long time. Why? We had known Amish existed around Cedar Rapids, Iowa but we had never actually looked closely at an Iowa Amish quilt and had to be taught why these were different from Ohio or Pennsylvania or Canadian Amish examples. So this quilt was a learning experience and therefore a favorite." Thus do wonderful obsessions begin and flourish. Once started, however, the Jameses did something other early quilt collectors did not: They acquired contemporary quilts as well as earlier American quilts. As they recently noted, "In the earlier years, probably 10 or 20 percent of the collection was 'art' or contemporary quilts." Bob continues, "Both of us saw family quilts in the 1920s and 1930s, so we never really felt the contemporary or art quilt movement was a cataclysmic change in quilting- a significant change, but there had always been changes in quilts and quilting. Look at the difference in quilts from the years between the 1880s and the 1930s." Additional impetus at the beginning of their collecting came when Ardis spotted a quilt at a show that was not for sale, determined to make it, and so was introduced to the craft of quiltmaking. In 1983, she went to a workshop by the contemporary quilt artist Michael James, and Bob noted it was a shame they had not purchased one of his works. That Christmas she was given slides of six of them so she could pick one, and when she couldn't decide, Bob bought all of them. They went on from there to collect the work of many other significant contemporary quilt artists from both the United States and abroad. As their collection grew and began to fill up their house (said Bob: After a certain point, "We had a house but no longer a livable house.") they did another thing that was unique at the time: They created a gallery for quilts at their home with broad platforms on which quilts were stacked where they could be seen. And there they graciously greeted visitors from all over the world who had heard about the collection and traveled to see it. The Jameses' collection was also different from those of other seminal collectors because of the couple's interest in quilts from other countries, and with good reason. Bob's several careers had required him to travel broadly, including significant stints in Japan. "We collected foreign quilts very early on- just not a lot of them. When we started collecting,, we always looked for quilts in Canada, Holland, England, France, and wondered about the influences to and from Central Asia, Turkey, Europe, the Hawaiian Islands, and so on. We always intended that the collection would sometime be truly international, like the Metropolitan Museum of Art or MOMA- but for quilts." Bob and Ardis were both born in Nebraska in 1925, he in Ord, whose population was then, and is now, about two thousand. He lived both in the town and on a farm, where they still used horse-drawn equipment. Ardis was born in Lincoln. While just in high school, she worked for the Omaha Stockman's Journal, a once-significant publication in the field that became more and more her project as men left for World War II. Before the decade of the 1940s had ended, Bob had achieved a B.S. in economics from Northwestern University, and M.B.A. from Harvard Business School, and a PH.D. from Harvard's Graduate School of Arts and Sciences. Ardis had become secretary to a dean of the University of Nebraska in Lincoln. The Jameses met in 1948 when Bob visited his sister in Lincoln, and they were married the next year. In the 1950s, Bob taught at MIT then decided to try government service, becoming the CIA's branch chief concerned with the communist bloc's trade, finance, and machinery industry. After four years there, he joined the oil industry, eventually becoming president of Mobil's Marine Transportation Company, with worldwide responsibilities. Finally he joined a New York commercial real estate development company, Enterprise Asset Management, with whom he has been associated for almost three decades. 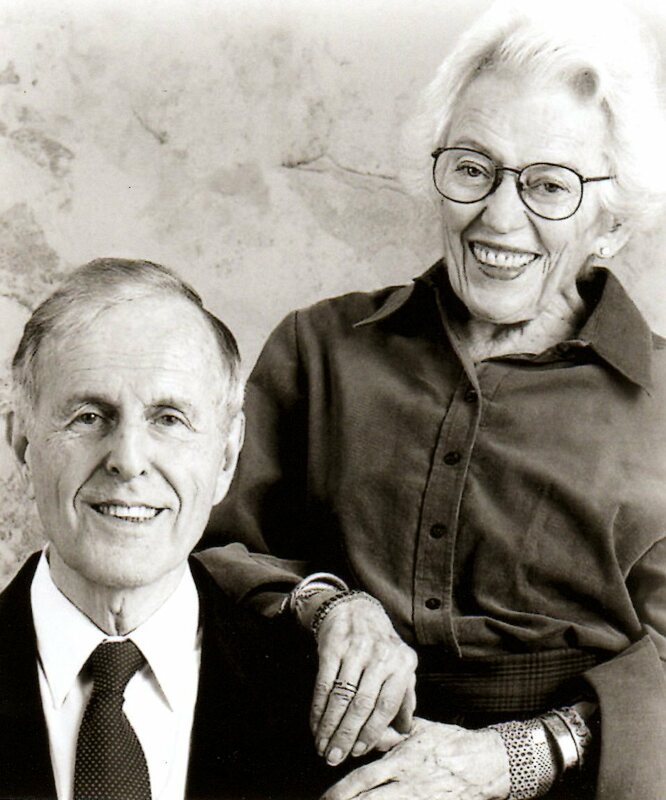 All the while, he and Ardis were raising a family, which eventually included three children, and enjoying their house in Chappaqua, New York, where Bob maintained a large vegetable garden, taking special pride in his tomatoes, a particular summer concern we have shared since we met. Ever interested in the world, Bob has had many other responsibilities, including his current involvement with a number of national and international organizations whose concerns range from strategic and military matters to human rights. To most, this might seem like an exhausting, lifelong round of obligations for Bob and, of course, Ardis. But those who know the Jameses have witnessed the intellectual curiosity that has marked their lives, and what has been accomplished in Nebraska seems to me a natural extension of their interest in the world, a desire to take part in its workings, and the energy to pursue those predilections. Fortunately for those who love quilts, it also indicates a significant degree of comfort with assuming major risks and the willingness to commit the resources necessary to accomplish significant goals. Bob has noted that, aside from their mutual aesthetic choices, it was a combination of their distinctive talents that made their quilt venture successful: "I couldn't have done Ardis's part, and she couldn't have done mine." I first met the Jameses in 1996 when I gave a lecture at the University of Nebraska - Lincoln (UNL) as part of a celebration of the first public display of the university's contemporary art quilts. For me, it was admiration at first sight: not just the quilts, which had been carefully and successfully chosen with aesthetics as a central consideration, but their clear-sighted planning and their absolute determination to make something significant happen in Lincoln. It was also clear, once I had met those at the university who would be involved in the venture, that it had every likelihood of being a resounding success and of the greatest importance to the future of quilt study and appreciation. 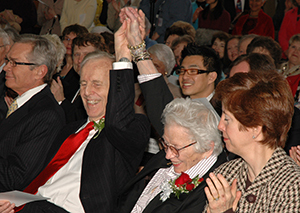 The Jameses had been discussing a quilt center with UNL for several years, and their negotiations culminated in 1997 with an agreement that established the International Quilt Study Center, its name indicating the couple's intention to spread a wide net. Its first base was in the Home Economics Building of the University. Patricia Crews, a professor whose doctorate was in textile science, became the center's able director and began to assemble staff. I recently asked Ardis and Bob why, aside from their roots in the state, they had picked Nebraska for their endeavor. "We had worked on the ... collection for some twenty-plus years, so had outlined pretty much what we expected... [for] whomever we could persuade to carry out our aims. We had approached several museums and discussed our aims with them. It became clear that most would probably do a good job of caring for and preserving quilts, but would not do an adequate job of showing quilts, would probably not care much for the contemporary or art quilts, had inadequate staff, were not prepared to do much research and writing or teaching, had no idea about how to build a memorable collection and no idea of how to get the money to do so, and so on... But UNL had an open mind and was willing to listen to our aims [and dreams]." As it turned out, it was a perfect match. The university was supportive of both the idea and the actuality from the beginning, and the successful results of this collaboration were soon evident. "We named it 'Quilt House' because it is intended to be much more than a museum. The number of publications, the leadership without overt competition with other quilt museums, the ability to work with quilters, collectors, and museums around the world, and, of course, the broad expanse of the exhibitions are examples. One of the best was the recent exhibition and publication on preservation: important for museums as well as for someone keeping grandmother's quilts. Important also for teaching, much of the work on the exhibitions was done with [and for] students. Just what we all had in mind: exhibition, publication, collection, preservation, history, and so on." And so the vision Ardis and Bob had at the beginning of their serious collecting, of an inclusive collection embracing the best of what the entire world had to offer in quilts, past and present, and their desire to share it with that world, has been realized in an amazingly short time. For those who have been lucky enough to be on the bus, it has been a great ride, one that could not have happened without the Jameses' dedication and continuing generous support, and the willingness of the University of Nebraska to embrace their dream. Their gift is to the world and is unique among the efforts of those who have made the most significant contributions to the evolution of the understanding and appreciation of our common interest. Twelve years ago, when the actualization of their dream of a quilt center in Nebraska had just begun, they said, "We never felt that we owned the quilts, but we were careful custodians and are pleased beyond description at the way they have come home." Their selection as the 2011 inductees into The Quilters Hall of Fame could not be more deserved, or more fitting. All who know them or know of their contributions, will celebrate this moment. "Of course there are always favorites, but these... are frequently chosen for reasons other than beauty or color or workmanship." Ducey, C., and M. Hanson. Quilts in Common. Lincoln,, NE: International Quilt Study Center & Museum, 2008. Hanson, M., and P. Crews, eds. American Quilts in the Modern Age: 1870-1940. Lincoln: University of Nebraska Press, 2009. Holstein, J., and C. Ducey. Masterpiece Quilts from the James Collection, Tokyo: Nihon Vogue, 1998, 8-9. James, Ardis. Contemporary Quilts from the James Collection. Paducah, KY: American Quilter's Society, 1995. ------. Quilts: The James Collection. Tokyo: Kokusai Art, 1990.